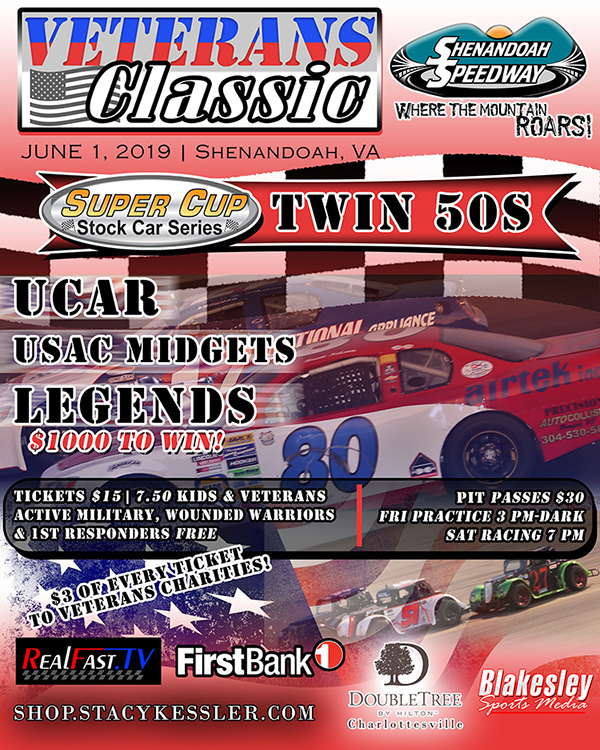 SHENANDOAH, VIRGINIA (March 25, 2019) – Shenandoah Speedway will honor active military, veterans, first responders, and those lost fighting for our freedom with the inaugural Veterans Classic on June 1st. Super Cup Stock Series returns to the 3/8ths mile for the first time since 2013 for Twin 50s, joined by $1000 to win INEX Legends, USAC Eastern Midgets, and UCAR. The event commemorates the 75th anniversary of the Normandy landings, also known as D-Day, on June 6th, 1944. The state of Virginia lost many men out of the 5,000 casualties suffered. Officials from the Shenandoah Speedway and Veterans Classic will also be attending the D-Day Memorial in Bedford, VA to pay their respects. Three dollars from every ticket sold will be donated to three Veterans charities in the region. General Admission tickets are $15 for adults while half-price for Kids & Veterans. Active Military, Wounded Warriors, and First Responders are free. The twin 50s for the Super Cup Stock Car Series will be the fifth and sixth green flags in its 11-year history at the scenic 3/8ths mile speedway. 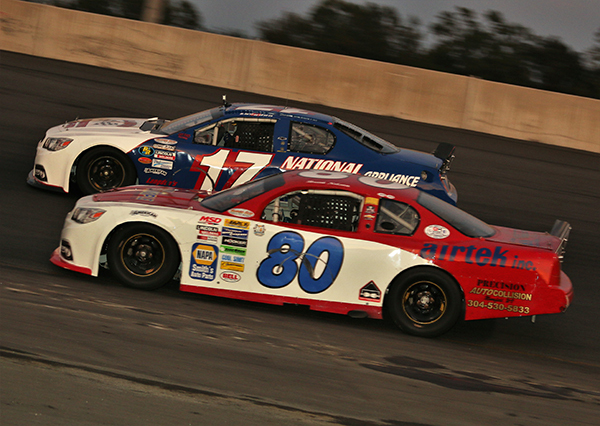 The $1000 to win INEX Legends race is expected to be one of the largest in the state in 2019 as it compliments the schedules across the region. USAC Eastern Midgets have competed at Shenandoah Speedway on a regular basis for several years. Their 2018 champion was Jessica Bean who has ten career wins. Action will get underway on Friday night with an open practice session with pit passes available for $30. Practice will run from 3pm to dark. Racing on Saturday will begin at 7pm. For more information about this race or to contribute as a sponsor or charity partner, contact Jeff Thielscher at (661) 428-0911. Veterans Classic thanks RealFast.TV, FirstBank of Alton, VA, DoubleTree Charlottesville, VA, shop.stacykessler.com, and Blakesley Sports Media for their support.